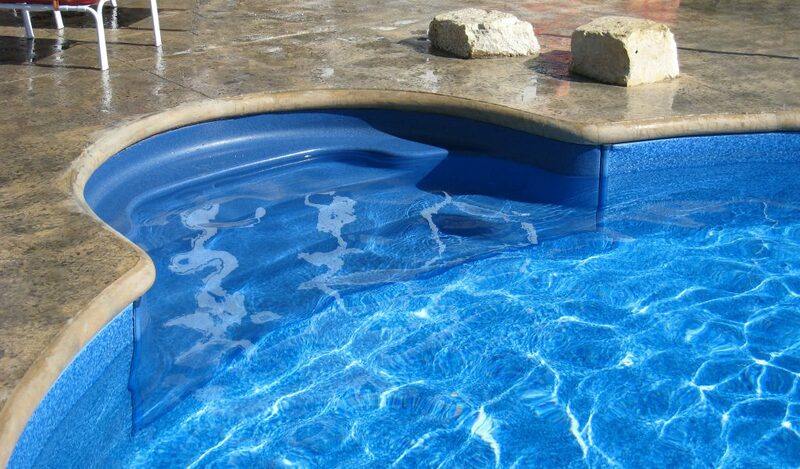 Over 30 years of expertise in the swimming pool step vacuum forming industry goes into the beauty, strength and quality of our pool steps. 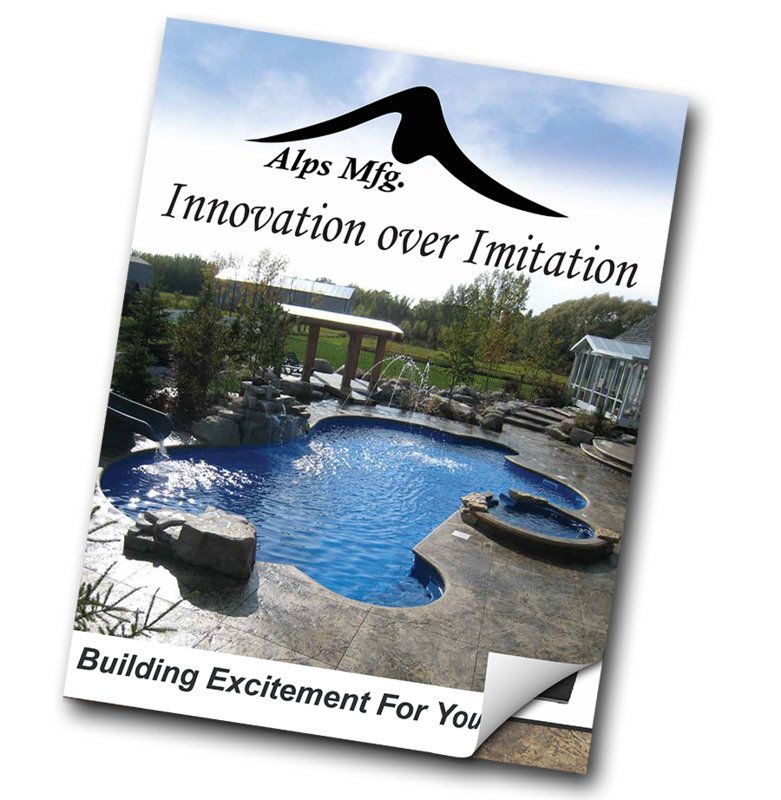 Alps Manufacturing has a large number of beautiful, as well as functional, step entry systems available for you to choose from. You have the choice of bullnose or cantilever designs as well as three color selections. Or innovative line of pool steps come in multiple shapes and sizes. Complete with mounting hardware and instructions. Available in white, grey granite, blue granite, and the option of bullnose or cantilever. Alps functional design incorporates comfortable seating areas on both the first and third tread on several of our models. The third tread seating provides adults the added ability to remain submerged from the chest area downward while sitting back, relaxing, and enjoying the benefits of refreshing pool water. 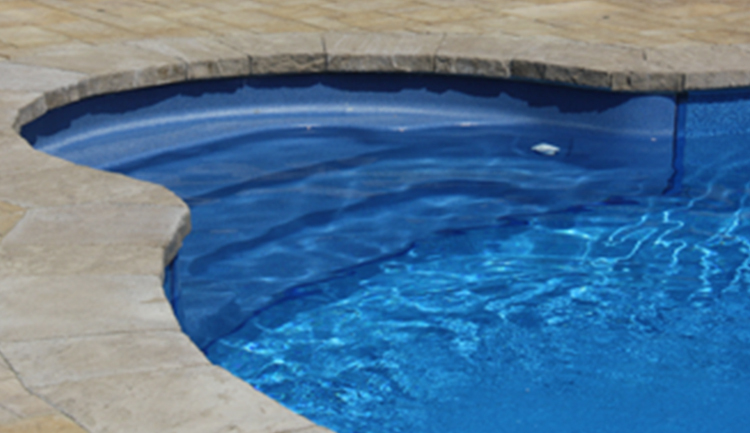 Designed to enhance the beauty of your swimming pool as well Hydrotherapy enjoyment for the whole family. With either a bench model seating arrangement or the lounger model your spill-0ver spa will match the color and beauty of your pool steps. Both models come complete with 12 stainless steel Hydrotherapy jets and are available in white, grey and blue. 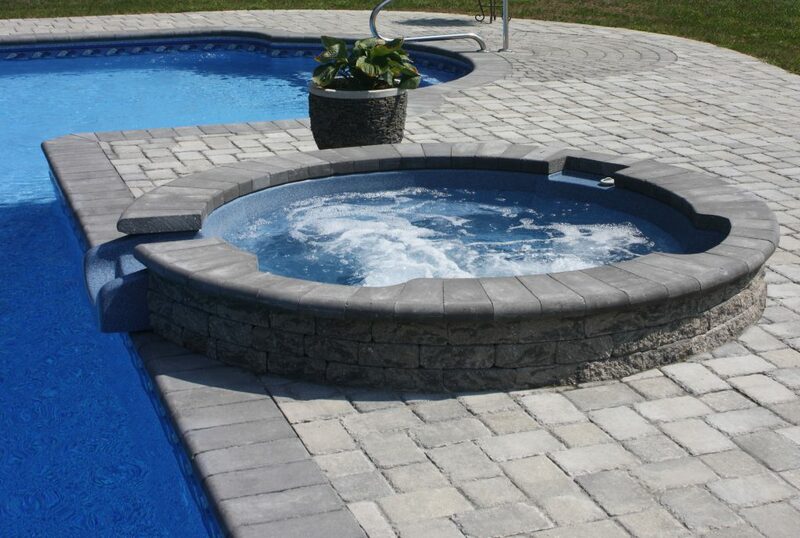 Adding one to your pool just created the perfect “hot spot” for the family to soak in soothing hot water therapy. Ask your dealer about adding underwater lights and plumbing that will allow you keep the hot water in the spa on cool evenings. We have blended the perfect balance between performance and comfort. 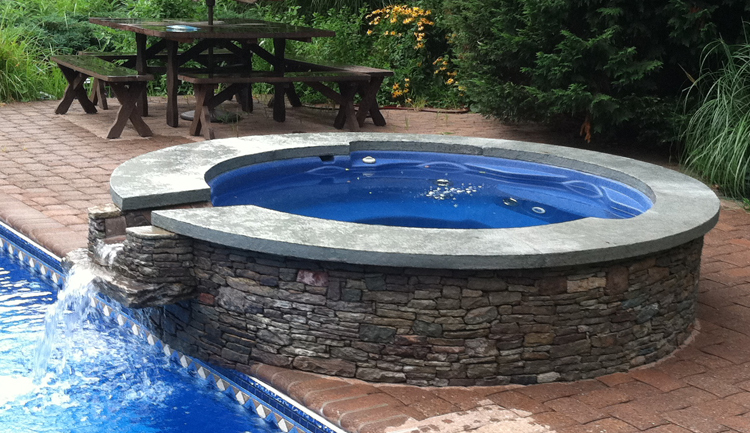 We are an industry leader in producing fine, custom hot tubs and swim spas. Visit AlpsSpas.com to view our full line.